إن فندق Gundalee Cottages بموقعه الممتاز في واربورتون هو نقطة انطلاق جيدة لنزهاتك في يارا فالى. يمكن من هنا للضيوف الاستمتاع بسهولة الوصول إلى كل ما تقدمه هذه المدينة النابضة بالحياة. يوفر الفندق بفضل موقعة الجيد وصولاً سهلاً إلى أهم معالم المدينة.
. إن الخدمات الممتازة وحسن الضيافة العالي في Gundalee Cottages تجعل إقامتك تجربة لا تنسى. يقدم الفندق فرصة للاستمتاع بشريحة واسعة من الخدمات بما فيها: واي فاي مجاني في جميع الغرف, مدفأة, مطبخ, صف السيارات, غرفة عائلية . يمكن للنزلاء الاختيار من ضمن مجموعة من الغرف المصممة بعناية لتعكس جواً من الراحة، والتي يتجاوز عددها 2. صممت خدمات الاستجمام في الفندق والتي تتضمن سبا, حديقة لمساعدتك على الاسترخاء والراحة. اكتشف مزيجاً ساحراً من الخدمة الاحترافية والخيارات الواسعة من وسائل الراحة والمتعة في Gundalee Cottages. We had a fantastic weekend at Gundalee cottages. Rode the rail trail straight through to the doorstep. Owners Gunther and Leonie met me with an icy drink on arrival and were so friendly. Cottage has great mountain views and very peaceful. Chocolates in the room as well as a full bottle of milk fresh eggs bacon and cereal. Cottage spotlessly clean and comfortable. Will definitely be back again. Went there for one night stay and we enjoyed the place so we decided to stay for another night. Relaxing place to stay. Try the spa at night time and you will feel very relaxed. Cereals, milk, orange juice, bacon, spreads and bread are also included. We would like to thank Gunther for the great stay we had. Highly recommend this place for a peaceful and comfortable stay. Gunther is a wonderful host and went out of his way to accommodate me for a vegan friendly breakfast. The cottage is warm and cosy with many little curiosities around the space, we loved relaxing in the spa and the extra comforts and touches about the place were very sweet. The view from the balcony is perfect to relax and we really enjoyed out stay. Wish it could have been longer. Thank you! Cabin was well equipped with great view across to Mt Donna Buang and very generously provisioned for breakfast. Great no fuss hosts......peaceful rural setting...….had everything we needed for a comfortable stay (except for the impossibly soft pillows!). Definitely recommended. You could not fault these cottages and honestly the pictures do not do the views justice! The cottage we stayed in was clean and comfortable - everything you could need (including spacious Spa Bath). The hosts were so accommodating in tending to our special request to have vegetarian breakfast provisions and helpful in guiding us to the nearby waterfall walk we wanted to do. Would highly recommend and defiantly stay here again! Value for money. Good mountain views. 10 min drive for the restaurants. One night stay in spa cottage. Very comfortable bed, crisp linen, really good breakfast pack with variety of cereals and plenty of bacon, bread, milk and jams. 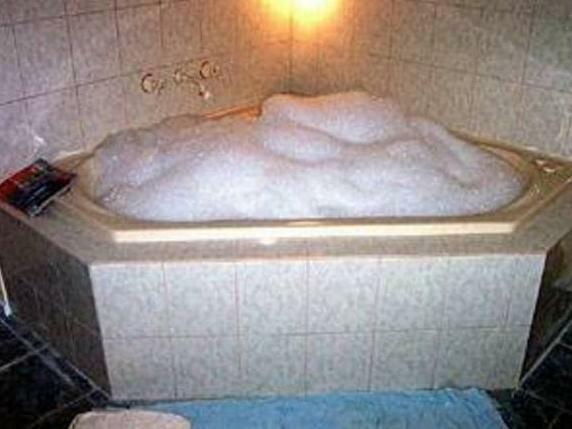 Good sized corner spa not a bath spa. Very quiet location, not far to Warburton for a meal. Put off in photo by metal verandah screen but this works well in giving privacy. Two cottages are well spaced and vegetation screening. Realistic nightly rate compared to others we searched which were all at least double the price, most without breakfast and a lot in a row of rooms or cottages right next to each other. Recommend for a quiet getaway and as a base for the Warburton area and Yarra Valley. Lovely cottages nestled in hillside. Private and separate from other cottages. Breakfast included bacon which is also a big-tick for me. Friendly (but hungry) Kookaburra's in the morning. Would stay there again for sure. House owner and his wife are very friendly. We had dinner with them in their house for 2 hours! A very large garden. Big Cottage, very clean room, fully air-conditioned and fully equipped kitchen. All breakfast choices and materials are found in the fringe. The cottage is quite big for 2 persons. All rooms have electronic heater. There is a fire place in living room which the owner provides a ton of woods. The cottage is really warm. The cottage locates in the owner's land and it is at the end of the road, next to the forest. You can find peace there. You will get the real rest. Serene and quiet place. Great getaway from city life. Host was extremely hospitable and all the small comforts were well thought out. We came during the winter when the weather was extremely cold - Gunther the host made sure to leave the heater on before our arrival, as well as provide extra blankets and towels for our stay. He's also really familiar with the location so he was able to make recommendations about where to eat or visit around the area. There was a fully equipped kitchenette, with even the small things such as vegetable peelers, wine bottle openers, and even different types of pots and pans. There was even cooking oil, salt, pepper, bacon, eggs, orange juice, bread, milk...all the small things really added up to make it an excellent experience for my partner and I in our first countryside experience. Also, I proposed and my girlfriend said yes so that has to count for something. Thanks for hosting us! My wife and I really love the environment and everything details inside the cottage! I forgot to bring my jackets with me when I left, and the host Gunther, he is so nice that he sent it to me. So I would like to thank you again! We were after a few days of quiet, tranquility and dare I say serenity. We got that in abundance along with views of Mt Donna Buang and surrounding forests. Except for some King Parrots looking for a feed no one disturbed us enjoying the above. Hope to go again. We stayed here to be relatively close to the nearby wineries in the Yarra Valley. It was a bit far to get to some of the wineries but not more than half an hour usually. However, the less-than-ideal location is massively outweighed by the great value, friendly host and gorgeous views that you get from this cute little cottage. The breakfast spread was excellent - when was the last time you got smoked salmon and short cut bacon as complimentary? Nice place with spectacular view to stay with. And, lovely host. Split system in the bedroom not working.. Double bed for a couple is not ideal .... Too many items neglected and not operational. The location is ideal but the owner needs to spend some money on maintenance and upgrading . 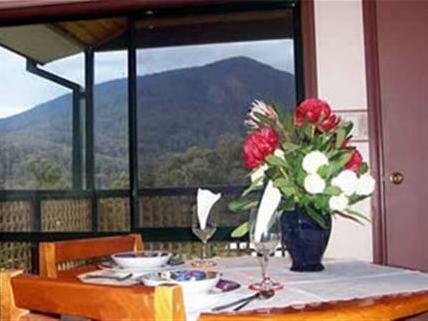 Great little B&B cottage in Warburton with stunning views.Great spot to venture out towards Healesville and Marysville.Bring insect repellant as the bugs in the valley are huge.